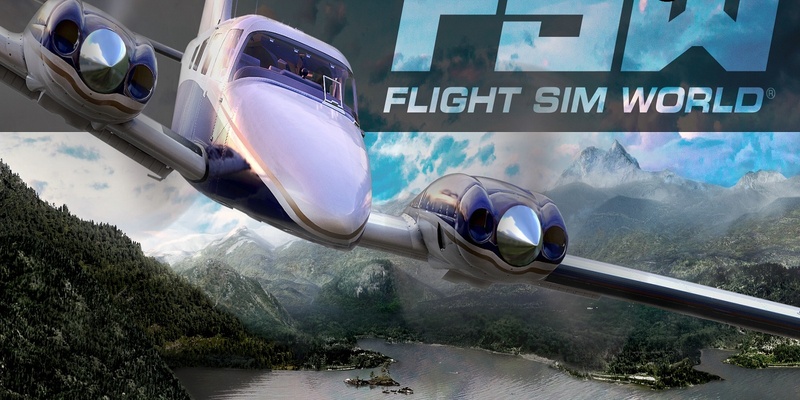 Dovetail Games, the multi-award-winning simulation developer, and publisher, today announced that its much-anticipated flight simulator, Flight Sim World, will be released into Steam’s Early Access program in the coming weeks. Based on benchmark flight simulation technology, Flight Sim World will provide players with an unprecedented level of realism and detail. Its officially licensed GA aircraft will be the most authentic and detailed in-sim representations on the market, faithfully replicating their real-world counterparts, with every gauge and switch fully operational. Not only do these aircraft look like the real thing, but they also interact with the environment in an accurate way. A combination of atmospheric effects and advanced behind-the-scenes mechanics, result in a remarkably unique home simulation experience. Watch the raindrops race across your windscreen in stormy weather, while the physics engine challenges you with true-to-life aircraft behavior, including edge-of-envelope spins and stalls. Whether you want to plan a peaceful flight somewhere sunny or test your skills with tricky situations fraught with bad weather and engine failures, the comprehensive Flight Planner gives you full control over weather, location and time of day, also allowing you to add random events that will make your time in the air even more challenging. For those who want to focus more on content creation, also included with Flight Sim World is the Pro Mission Editor, which is a professional tool which allows players to create more complex missions. “The time has come for a new flight simulator which really focuses on the physical quality of the aircraft and a flight model which brings them to life,” said Executive Producer Stephen Hood. “After doing some intensive work on the game engine – such as providing a much-needed 64-bit element – we now have a flight simulation platform which will allow us and our partners to focus on creating new and exciting ways for simmers to benefit from these advances. New features and expansions to Flight Sim World will be rolled out as part of the Early Access program and beyond, reinforcing our absolute commitment to the hobby. In addition to providing core updates and expansions, Flight Sim World will build on Dovetail Games’ extensive partnership publishing program, allowing high-quality add-on developers and publishers to make available excellent additional content, such as aircraft, airports, missions and scenery. To follow the latest news and developments, please visit www.flightsimworld.com, or follow them on their facebook.com/flightsimworld and twitter.com/fltsimworld. Previous articleWhat Constitutes ‘Good’ Difficulty in Video Games and Why? Graham is an Irish journalist and he loves video games. He remembers his first gaming experience at the tender age of seven where he played a horribly pixelated football game. Now he lives in the age of the blockbuster AAA titles and he's loving every minute of it.